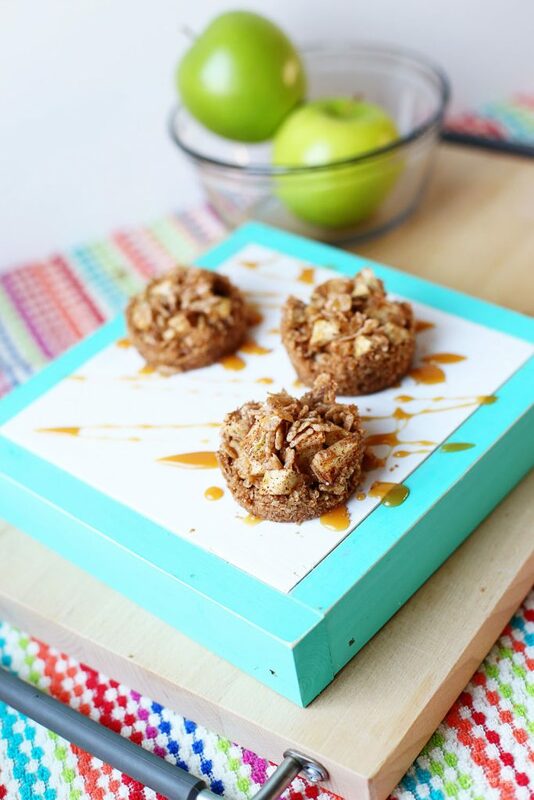 If you love apples and cinnamon, but don’t have time or energy to whip up an apple pie, THIS is the dessert treat for you! My whole family loved them – so so yummy! What makes it so easy is the crust – it’s no bake! 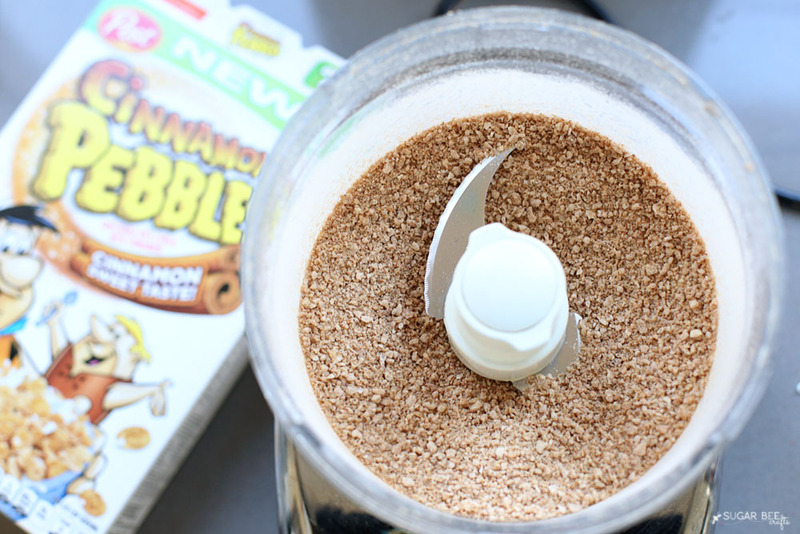 And made from yummy Cinnamon Pebbles cereal – it doesn’t get easier (and yummier!) than that. First up, crush the 4 cups of cereal. You can place it in a bag and roll the rolling pin over it, or use a food processor. 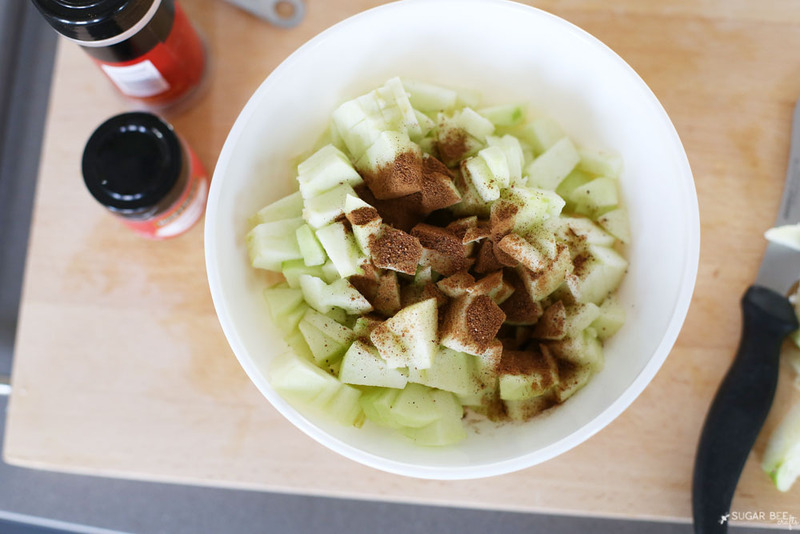 Meanwhile mix the apples and spices in a bowl until combined. 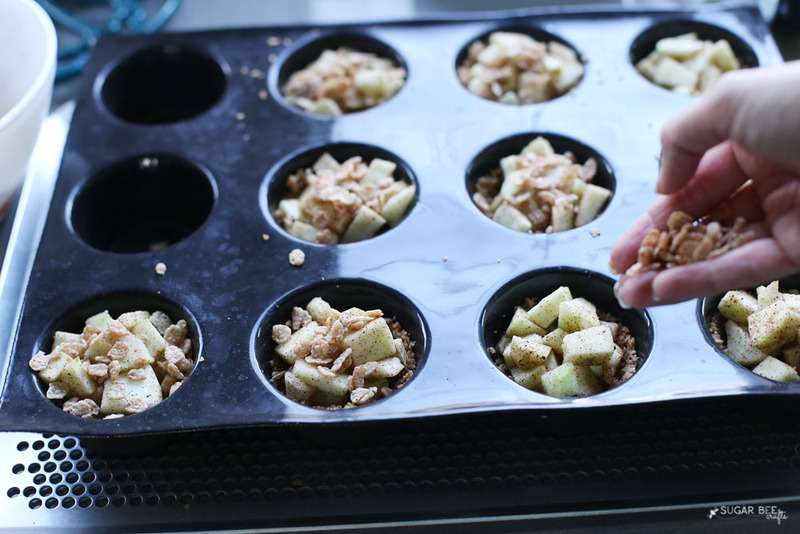 Scoop apple mixture into crusts. 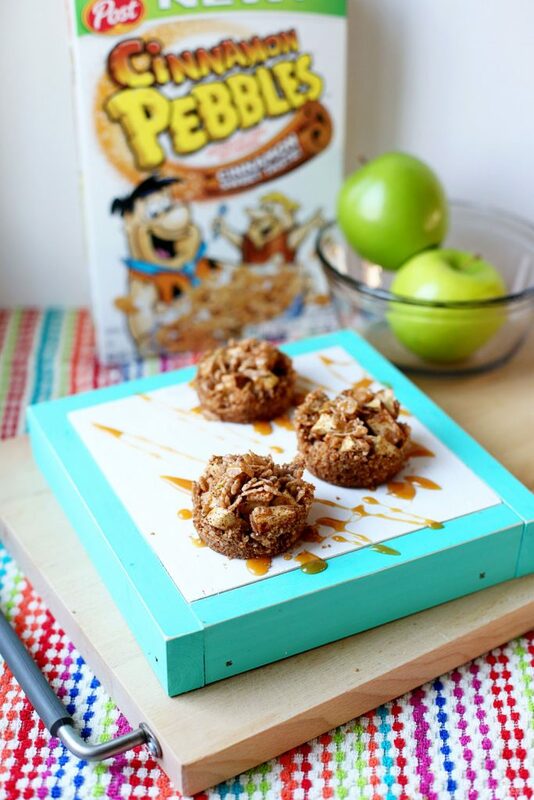 Top with cereal garnish for a crisp crunch topping. Bake at 350* for 35-40 minutes, or until apples become soft. Let cool. Then remove from muffin pan. 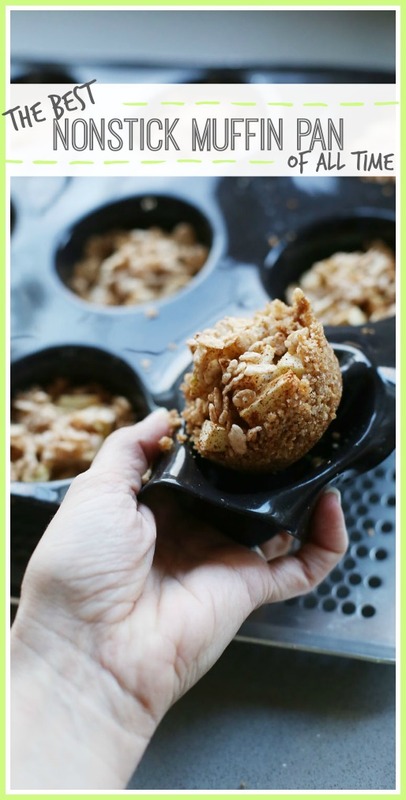 With a flexible muffin pan, they will pop right out. 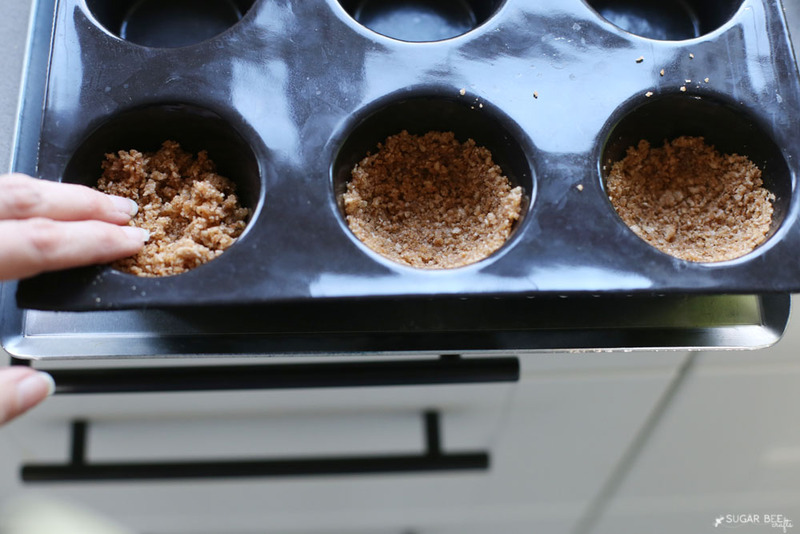 I am IN LOVE with my DeMarle Muffin Pan – it is seriously the best NonStick Muffin Pan ever. I bought it for crafting (see this post), but LOVE the muffin creations I can make with it, and they come out perfectly every. time. 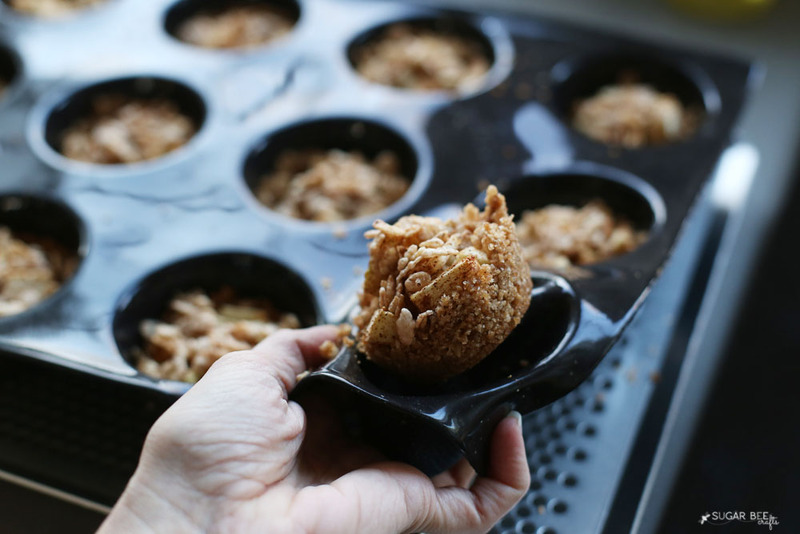 It’s an investment-type muffin pan, but I am so glad I have it! 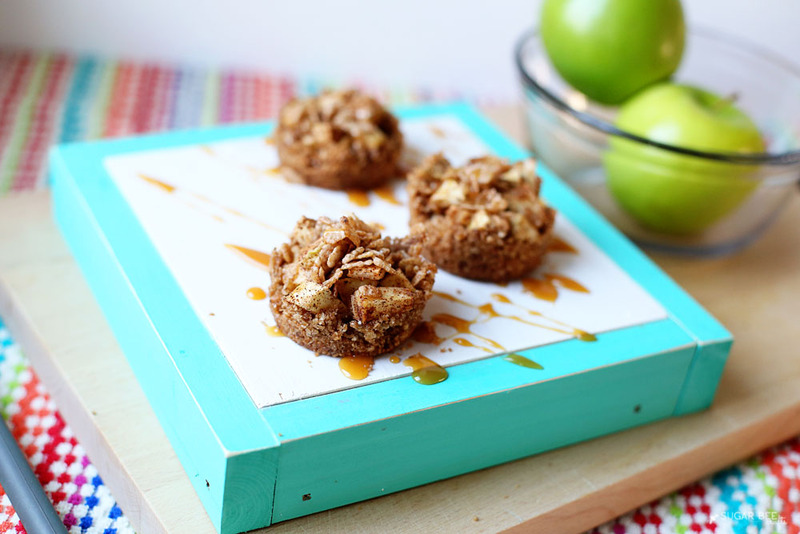 Once you have your Apple Crisp Cups out, drizzle them with caramel sauce and dive in. So good!! I had them the next day warmed up served with vanilla ice cream, and that was amazing too! 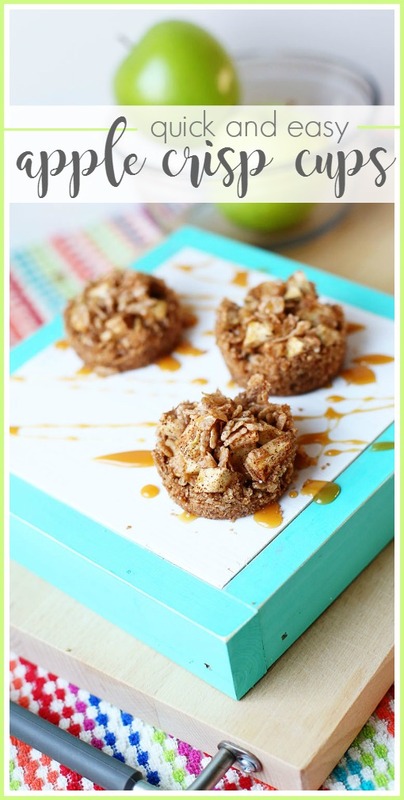 Apple Crisp Cups – enjoy!! 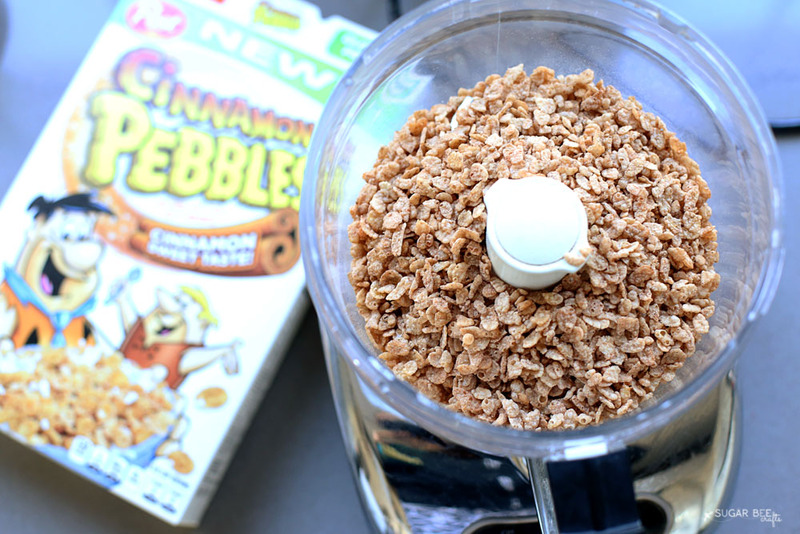 I have never heard of Cinnamon Pebbles, but I bet they are delicious! What a genius idea! !